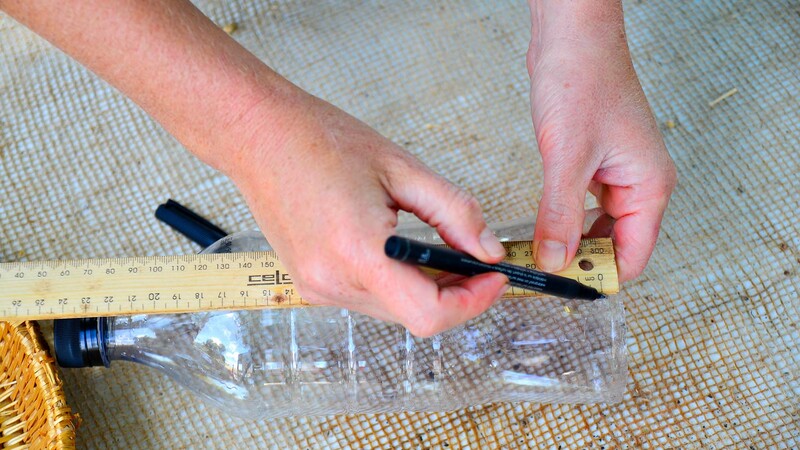 Help those thirsty plants with these easy DIY water reservoirs, made from plastic bottles. Sometimes certain plants in a garden bed seem to need more water than the plants around them – they droop more quickly in hot weather or just seem to dry out more quickly. This might be because they might have higher water requirements or the irrigation may not be reaching them as well as others. 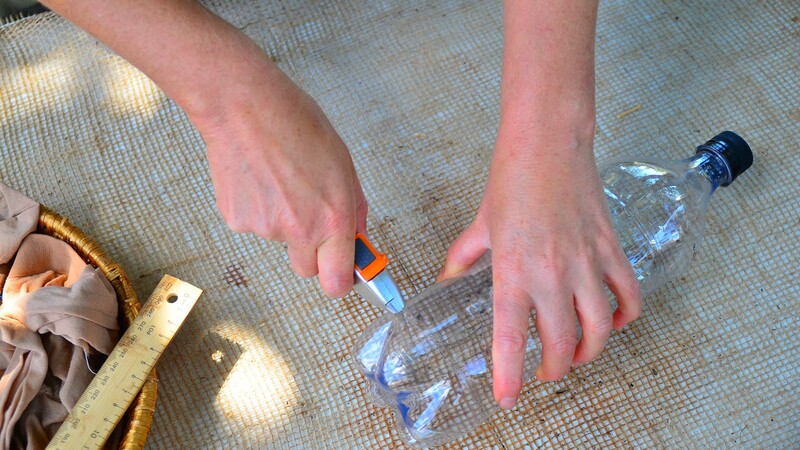 It’s easy to make individual water reservoirs out of empty plastic drink bottles. You’ll need to make two of these for most smaller plants (one for each side) and larger plants may need a series of them around their root ball. The water leaves the bottle through the incisions. Remember that plants absorb water from around the edge or ‘drip line’ of their canopy, so don’t place your reservoirs too far inside or outside of this line. You might also want to add seaweed solutions or diluted fertiliser teas to the bottle. 1. Using the Stanley knife or scissors, cut the bottom off the drink bottle. 2. Draw a vertical stripe down the side of the bottle. 3. Make small incisions along the stripe, 2 cm apart, using the Stanley knife. Make sure the lid is screwed tightly onto the drink bottle. 4. Using the scissors, cut the feet out of the stockings or tights. 5. 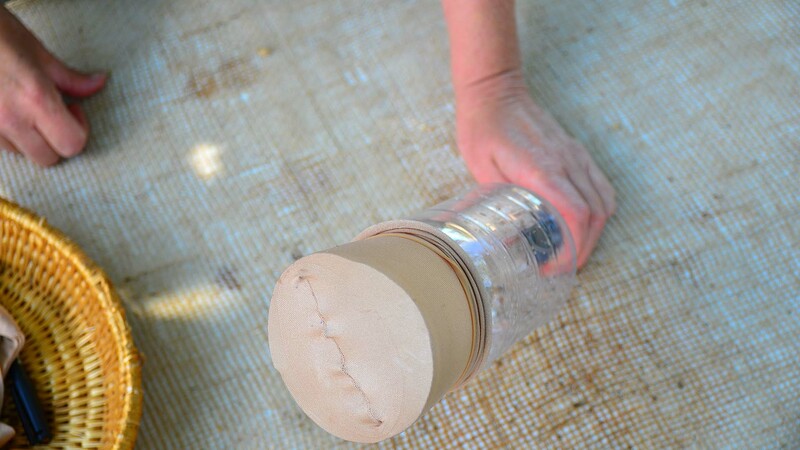 Stretch the stockings over the cut end of the bottle and secure with a rubber band. 6. Dig a hole next to the plant deep enough for most of the bottle to be buried. 7. 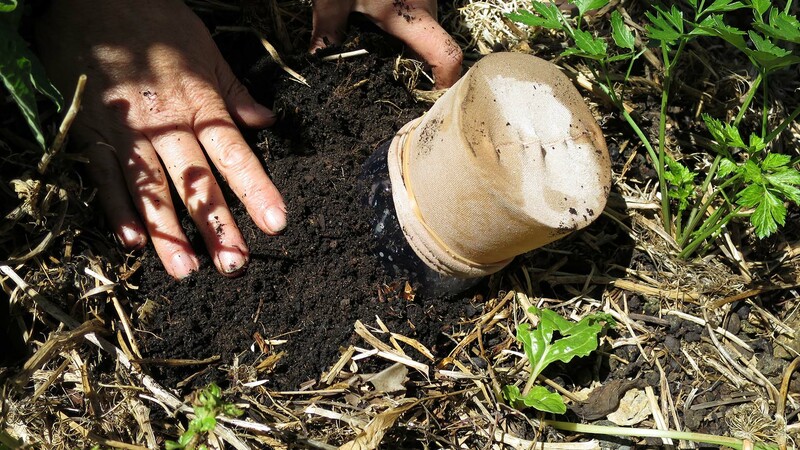 Place the bottle in the hole, lid down, and the vertical stripe and holes facing toward the plant roots. 8. 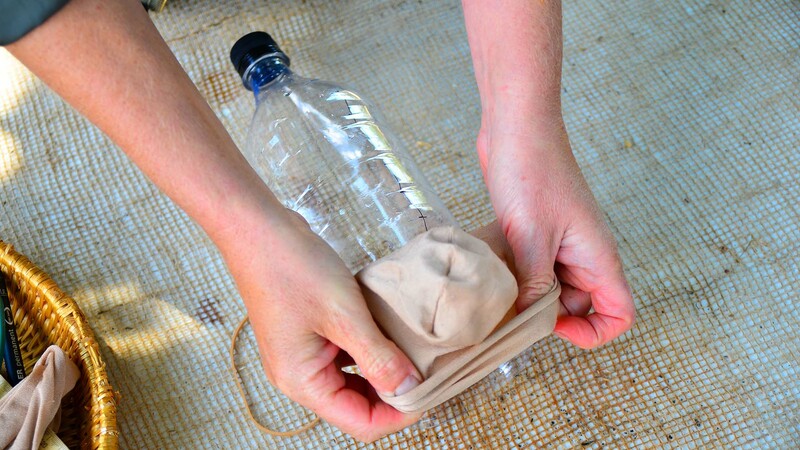 Pour water through the stocking into the plastic bottle until it is full. 9. How long it takes to drain will depend on the soil conditions – it will drain faster into sandy or dry soils. 10. You will need to top the reservoir up, so check how long it takes to empty and then remember to fill it when required. 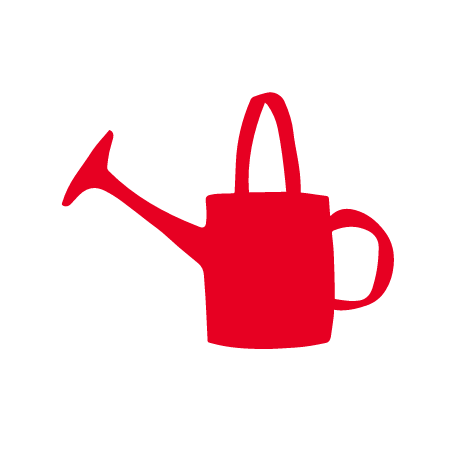 You could also use a small bucket or large plastic water cooler bottles to achieve a similar result – just punch small holes in the bottom, place on the ground over the plants roots and fill with water. They will slowly release water to the soil below.